Just weeks ago, the PA Public Utility Commission struck a blow to ridesharing companies Uber and Lyft in the name of public safety, ordering them to immediately cease operations in the City of Pittsburgh. People who have come to rely on these companies to get where they need to go were disappointed with the alternatives: unreliable taxi service, public transportation, or illegal jitneys. Today, however, the PUC unanimously approved emergency temporary authority for these companies to operate in Pittsburgh as they work to comply with safety and insurance standards. (Details about the PUC's vote here). Unfortunately, at our law firm we see all too often people injured as a result of the carelessness of people or companies that don't have proper insurance or are operating unsafe vehicles or employing unsafe drivers. It benefits everyone when "common carriers" (the legal category covering taxis and ridesharing groups) meet a common set of safety standards and insurance requirements. Here's why. Do ridesharing benefits really outweigh safety concerns? Most people will agree that there is great risk in getting into a car with a driver who you don't know or who may not be licensed, and in a car that may not be inspected, or even worse, have no insurance in case there is an accident. The Pennsylvania Public Utility Commission issues certificates for companies that pass a certain minimum set if safety standards and which are subject to the safety rules of the legislature of Pennsylvania. Rules for taxis and common carriers include making sure the driver is licensed, has no relevant criminal or unsafe driving record, and has appropriate insurance which complies with state insurance requirements. Compliance with the Public Utility Commission regulations and having a car which is inspected and that meets minimum safety standards is not onerous and is meant to provide some minimum level of safety for the consumers in Pennsylvania. Understanding and navigating PA auto insurance is confusing for most people, even for many attorneys. And for Uber and Lyft riders, insurance concerns are even more ambiguous, putting them at risks they may not even be aware of. Uber and Lyft are moneymaking businesses and should be responsible for customers' well being. 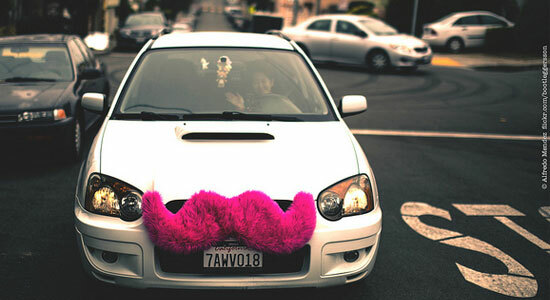 The customers who use the ridesharing services believe that since they are using a national company they are protected. Most people believe that the Company has made sure the drivers and vehicles are safe. Now, the Public Utility Commission has ordered improvements in insurance coverage and safety. I would suspect that 99% of the Uber and Lyft drivers out there have no idea that their own insurance companies may not provide them with coverage in the event of an accident. Taxis and other common carriers have insurance which provides for at least the state mandated minimum coverage for injuries and medical expenses sustained in those vehicles. On the other hand, most Uber, Lyft and other ridesharing vehicles have personal insurance of the kind all of us have to drive around our families. Most insurance companies that I have dealt with over the years will deny coverage and not make any payments when the driver was carrying a passenger for a fee. Anyone who has an insurance policy can find that type of specific exclusion in their own policy. If I am going to pick up passengers and charge a fee to drive them around I fully well expect that my insurance company will not pay anyone if I hurt them. The Public Utility Commission makes sure that the insurance is valid commercial insurance and meets the state requirements for common carriers. We would all agree that hitchhiking is an inexpensive way to get from point A to point B but we would also agree that one assumes a host of dangerous outcomes in doing so. A person who gets into a Lyft or Uber vehicle that does not comply with state regulations is also assuming a host of risks. Unfortunately, the public has no idea that these risks are real and that the drivers and vehicles and insurance has not been properly verified. I would suspect that 99% of the Uber and Lyft drivers out there have no idea that their own insurance companies may not provide them with coverage in the event of an accident. Legally Speaking, What Are The Risks? The driver drops you off in an unsafe area of town and you are the victim of a crime. There are many instances of public safety regulation. We require a plumbing inspection or electrical inspection before major work is done to avoid homes burning down or pipes bursting due to shoddy workmanship. We require landlords to have smoke detectors in apartments. The state requires certain safety equipment and safety inspections on elevators in buildings so they don't drop six stories and kill the occupants. The state requires minimum insurance laws. The state requires annual bridge inspections and requires guardrails along the side of steep embankments so cars don't tumble off of bridges and down steep embankments. Each of these regulations entails some inconvenience, but in the long term, ensures public safety. We all agree that having inexpensive, reliable transportation benefits everyone. And the instant popularity of ridesharing companies Uber and Lyftproves that new transportation options were something long overdue for our city. Not only that, but the increased accessibility of transportation helps drive down DUIs, which can be a huge problem in a city where it's been historically difficult to catch a cab after 2:00 a.m.
Don't get me wrong—I love ridesharing companies. But what I don't love is that most people who use them—riders and drivers alike—have no idea that they may not be covered by insurance or that the vehicle or driver may not meet the most basic safety standards. The safety requirements outlined by the law are reasonable, and something that ridesharing services can, and should comply with. I am excited for the services of Uber and Lyft to get rolling in Western Pennsylvania. The competition and increased choice for customers will be welcomed by us all. Attorney Michael Rosenzweig, partner at Edgar Snyder & Associates, has been with the firm for over 25 years. He has an AV® Preeminent™ Rating from Martindale-Hubbell, the highest possible rating based on legal ability and general ethical standards. In addition to numerous other accolades, he is a Board-Certified Civil Trial Advocate and an Adjunct Professor of Law at the University of Pittsburgh School of Law.